Our resource centre below is constantly updated with the latest information, PDFs, instruction manuals and links to useful rebreather community resources. BUILT BY DIVERS. FOR DIVERS. The regional technical commission AURA of the French Federation - FFESSM - organised its first training of AP-Diving CCR Instructors on 20th-28th October 2018. An excellent presentation by Dr Neal Pollock at the 2016 British Sub Aqua Club Dive Conference. This video made by SKY news shows real footage of an incident where a rebreather diver suffers from Carbon Dioxide poisoning. The video takes the viewer through the incident, explaining how it came about and the lessons that can be learnt. 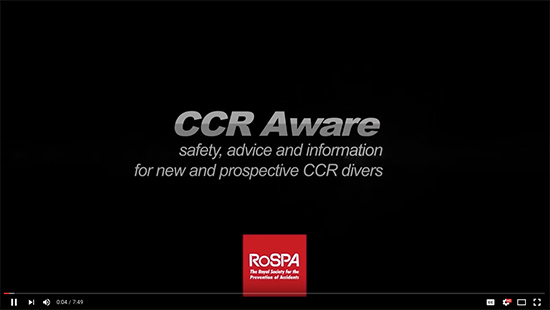 Whilst the video is primarily aimed at rebreather divers, there are issues such as bail-out gas consumption, team size and rescue that may be useful to all divers.